Experts from NIA24 are here to give their advice on skin care and recommend their favorite products. As we begin a new year, health and wellness resolutions will become a priority for many of us. In addition to committing to eating healthy and staying active, we encourage you to think about your skin care goals. We highly recommend scheduling a consultation with your dermatologist and following these everyday tips for achieving and maintaining healthy, glowing skin. Your skin goes through important regenerative processes at night. Makeup and pollution leftovers on your skin can impede the natural recovery process and clog pores, which can lead to dullness, congestion and breakouts over time. 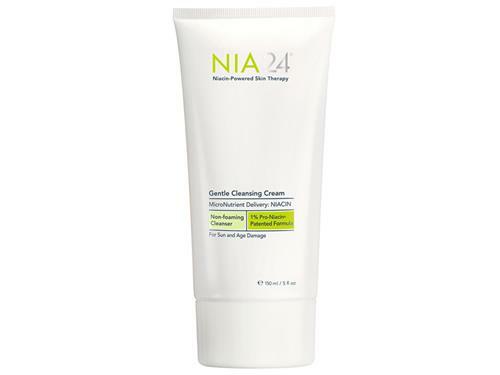 Try the NIA24 Gentle Cleansing Cream. Rich, replenishing and luxurious to the touch, this gentle, non-foaming cleansing cream removes makeup and surface impurities – leaving skin feeling clean, soft and moisturized. Antioxidants help prevent cell damage caused by harmful oxidants, also known as free radicals. Oxidants can to lead to fine lines and wrinklesas well as dark spots and come from two sources: internal metabolic functions, particularly when the body is under stress, and external aggressors such as sun and pollution. Topical antioxidants can be an effective remedy, especially when layered (for example, a serum and a moisturizer). 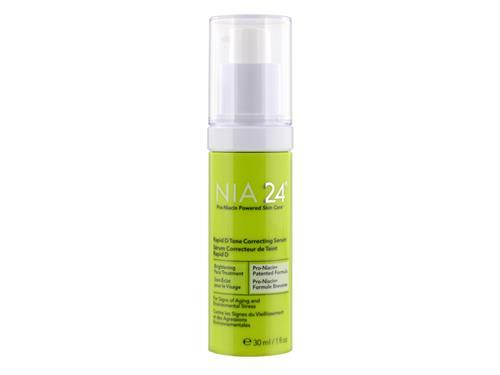 We recommend the NIA24 Rapid D Tone Correcting Serum. Loaded with vitamin C (a powerful antioxidant) and willow bark (a natural form of salicylic acid), this potent, lightweight serum visibly diminishes the appearance of dark spots, sun spots and overall discoloration for a significant improvement in skin brightness, clarity and tone. Certain seasons, we’re looking at you, winter–can be harsh on your skin. The right moisturizer is crucial to protect against the elements and their effects to keep the skin looking hydrated and healthy. 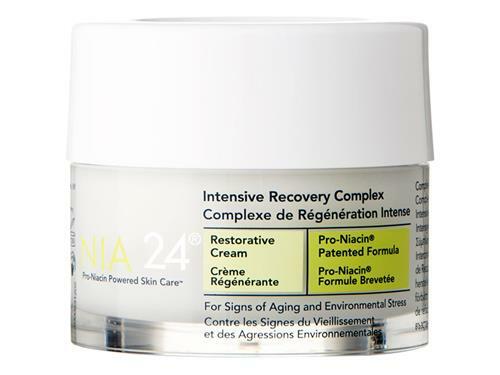 Our bestseller and dermatologist favorite, the NIA24 Intensive Recovery Complex is a rich restorative cream that helps initiate the skin’s own revitalizing abilities to promote recovery, refine skin tone and prevent water loss. Gentle exfoliation is the key to glowing, radiant skin. It helps break up congestion, gently removes flaking skin cells and supports healthy skin function. 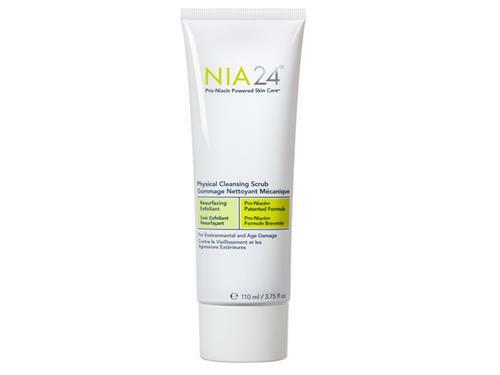 The NIA24 Physical Cleansing Scrub is a great way to maintain a healthy glow at home. Formulated with Pro-Niasomes®, encapsulated exfoliating beads that visibly improve dry patches and uneven texture and lentil fruit extract that smooths skin for a more radiant complexion. Sun exposure is a leading cause of aging, so it is important to protect your skin daily, ideally with products that also have skin care benefits. Look for labels that say “broad spectrum,” which means they protect against both UVA and UVB rays for maximum sun protection, and choose an SPF of at least 30. 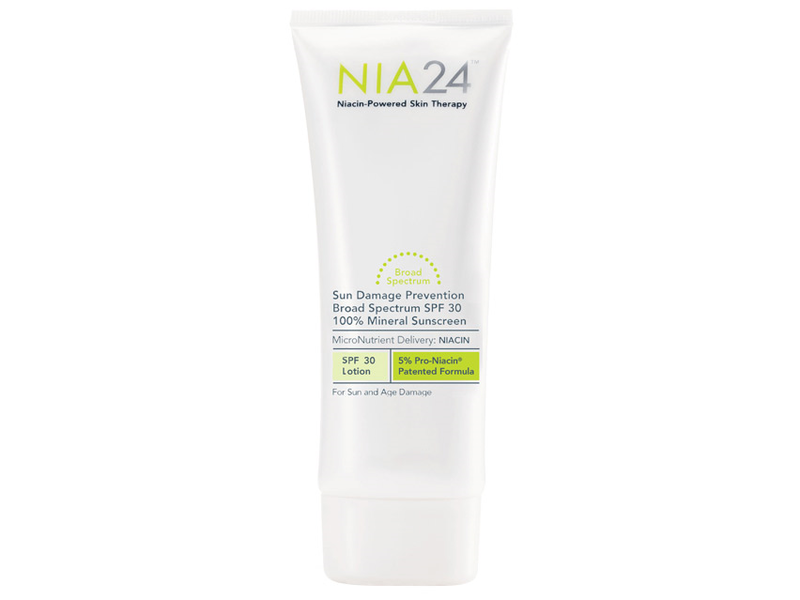 The NIA24 Sun Damage Prevention Broad Spectrum SPF 30 100% Mineral Sunscreen is a physical sunscreen that helps prevent future damage and provides a nice base for makeup. It is also the best choice for post-procedure, reactive and sensitive skin or during intense sun exposure, e.g. a beach day, an outdoor summer concert or exposed hiking. 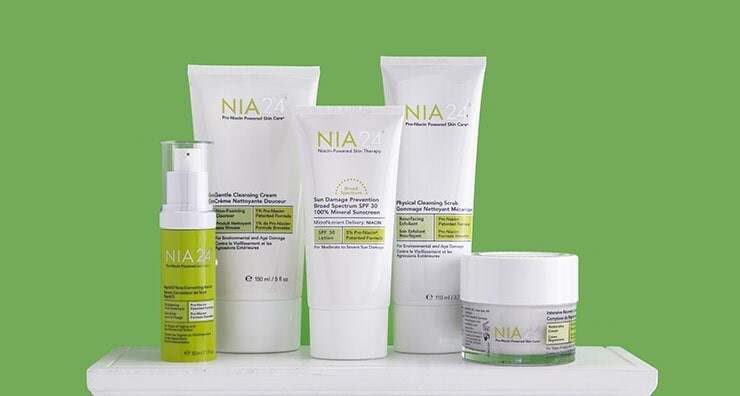 NIA24 is a highly effective, professional skin care line formulated specifically for patients with sun and environmental damage concerns, including pigmentation, fine lines and wrinkles, dehydration, loss of tone and rough texture. The NIA24 products are powered by a patented form of Niacin, Pro-Niacin, which is clinically proven to build the skin barrier while visibly improving signs of aging and environmental damage. Pro-Niacin optimizes the delivery of key ingredients and reinforces the integrity of the skin barrier for stronger, healthier looking skin.